Call 888-889-8866 to speak with a product specialist. Welcome to 2018 and the January edition of Tips & Topics (TNT). I hope you, like me, are looking forward to a happy, healthy and productive year. 1. Who you are and why do you have such a passion for bringing The ASAM Criteria to India? pioneered Drug Rehabilitation and Suicide Prevention for South East Asia In 1971 under The Calcutta Samaritans. Over time, I felt this intense desire to work as a Drug Counselor, and I realized that the experience of working with my father would be a bonus or would expand, with additional formal training. In the 1990s, there was no formal training in Asia, to my knowledge. I was told about an Institute in Florida willing to accommodate me for Drug Counseling Training and I attended for a year. I returned to India at the end of the year and in 1999 onwards, began my endeavor to train counselors on addiction. I do feel passionate about the ASAM Criteria, as it structures a precise assessment of a patient suffering with addiction/mental health Issues. Using the ASAM Criteria 6 assessment dimensions and the continuum of levels of care gives a person a chance of recovery, as opposed to forcing someone into a 21-day program. They, perhaps, may not need that length of stay or a 24-hour treatment setting. The ASAM Criteria delivers excellent patient-care matching, which saves a lot of time and money. It enlightens the fact that recovery is very possible and the chances of getting out of addiction and leading a normal life are huge, with the guidance of the ASAM Criteria. I recommend that more and more medical and non-medical Institutions should use the ASAM Criteria for addiction treatment and recovery. 2. What is the mission and activities of the IC&RC International Alcohol and Drug Counselor Certification Trust for India? We worked with a department of the Ministry of Social Justice and Empowerment in the government of India called NISD (National Institute of Social Defence), which umbrellas 900 Drug Programs. They receive support from the Government of India. My father, Dr. Vijayan Pavamani was one of the founders of this department. We then went on to work with those Drug Programs interested in International Credentialing and also with some of them that were privately-run Drug Programs. 3. Who came to the three days of ASAM Criteria training and how did you decide who should be invited? 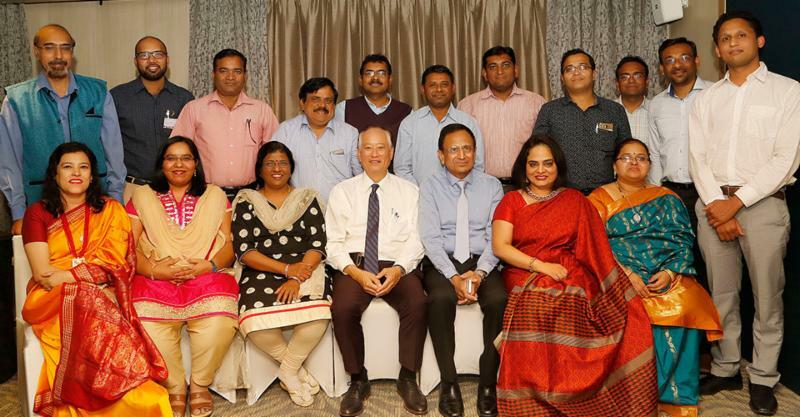 On November 30th to December 2nd, 2017 in Pune, we had a small group of 16 doctors who were administrators in their hospitals in several states from all over India to take the ASAM Criteria training. Three years ago, when we were organizing our syllabus for students to get our credentials, I came across the ASAM Criteria. On studying it, I realized that we needed someone from ASAM to teach us about it. We sent an email to the American Society of Addiction Medicine, and then someone responded that there is Dr. David Mee-Lee who could be interested in training on the ASAM Criteria to those interested in India. In our quest to promote the ASAM Criteria amongst the Drug Programs, a psychiatrist in Punjab asked me if we could deliver this training for Medical Practitioners. On this request, we began to request doctors who were working with addiction patients to take this training. We were requested to deliver this training and so we did!! 4. How do you think the training went and what are your Next Steps? Our trainer was none other than Dr. David Mee-Lee for whose training we received excellent reviews for all those three days. Our next step is implementation of the ASAM Criteria in India. We hope that a few ambassadors of The ASAM Criteria would be available to mission their time in India to help with the implementation of The ASAM Criteria for a few medical Institutions. While I had the opportunity to introduce something new to India, the USA, along with many other countries, have long looked to the ancient wisdom of India for health and spiritual guidance in our fast-paced society. In February 1968, fifty years ago, the Beatles travelled to Rishikesh in northern India to attend an advanced Transcendental Meditation (TM) training course at the ashram of Maharishi Mahesh Yogi. Note one recent study on Transcendental Meditation Program’s Impact on the Symptoms of Post-traumatic Stress Disorder of Veterans. Current treatments for post-traumatic stress disorder (PTSD) are only partially effective. The purpose of this study was to determine whether an extensively-researched stress reduction method, the Transcendental Meditation (TM) technique, can reduce the PTSD symptoms of veterans. The findings of the 46-patient study were published online December 29, 2017 in the journal Military Medicine. Results indicated that TM practice reduced PTSD symptoms without re-experiencing trauma. After 1 month of TM practice, all 46 veterans with PTSD responded. Because of the magnitude of these results and dose-response effect, placebo effects are unlikely explanations for the results. Major limitations were the absence of random assignment and lack of a control group. Those who self-selected to enter this study may not be representative of all veterans who have PTSD. But when taking into account these results and all previous research on the TM technique in reducing psychological and physiological stress, the evidence suggests that TM practice may offer a promising adjunct or alternative method for treating PTSD. cardiovascular disease; depression, insomnia and stress-related conditions. Consider meditation methods, including Transcendental Meditation (TM) for people using drugs, recreationally or for out-of-control addiction. The Beatles not only impacted the music world even to this day, but their interest in the Maharishi’s teachings changed Western attitudes about Indian spirituality and encouraged the study of Transcendental Meditation. The Beatles’ denunciation of drugs in favor of TM received widespread media attention. The visit to India was one of the most productive periods for the band’s songwriting. Sobriety and recovery in addiction not only restores the life of the person and family affected by drugs and addiction, but for many, people in long-term recovery surpass their previous quality of life, creativity and productivity. Eric Clapton, Bonnie Raitt and Elton John are just a few examples in the music world. Identify the common elements of Mindful Meditation to help to Avoid Burnout, Promote Wellness. In December 2017, the American Psychiatric Association published an article by Carol Sorgen in their Psychiatric News. It was on the importance of Self-care as a key to physician wellness and prevention of burnout; and the value of meditation. “Physicians who have an ability to provide self-care during their medical careers are more equipped to provide for the ultimate health, wholeness, and healing of their patients,” said Stacey Pierce-Talsma, D.O., chair of the Osteopathic Manipulative Medicine Department at Touro University, California. There are many forms of meditation; TM is just one of them. They differ in their approach to meditation, length of any one meditation session, sitting position etc. The article described the four common elements of meditation, according to the National Center for Complementary and Integrative Health of the National Institutes of Health. A detached attitude that lets thoughts come and go without judging them or acting on them. Earlier this month, my brother-in-law, Kim, underwent open-heart surgery to have a valve in his heart replaced. He was born with a valve variation (bicuspid valve) which does not last as long as for most people. While his valve has served him well for 64 years, it was time for a new one, courtesy of a beautiful animal whose ‘giveaway’ will enable him to live many more years than he would have without this technology. As part of creating a healing environment in the hospital room, his family spied an apt gift on a shop door – five hanging hearts they knew would have special meaning on many levels. 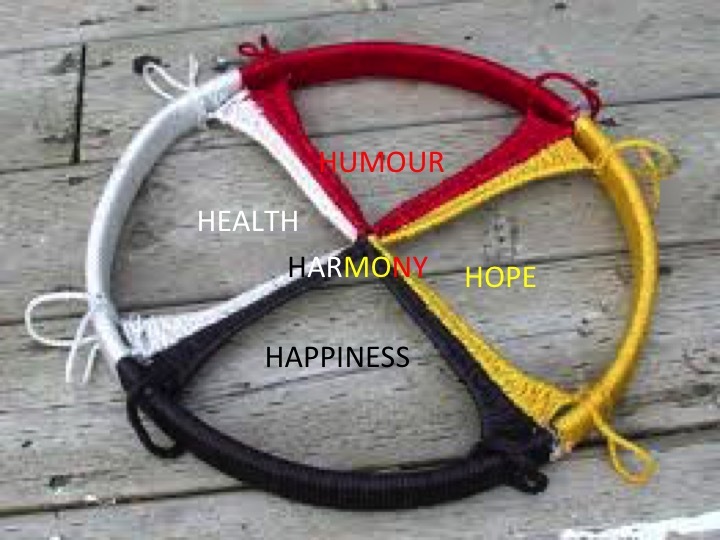 Then catalyzing in the Centre of the Wheel is Harmony. The operation is over; the post-op recovery time was short and successful. Now he continues to heal with a wonderfully refreshed heart, which will serve his health and vitality for the next chapter of his life. How are your five hearts? At the beginning of this new calendar year, are they ready to serve yourhealth and vitality for the next chapter of your life? Thanks for joining us this month. See you in late February. David Mee-Lee, M.D., is a leading expert in co-occurring substance use and mental disorders. His monthly “Tips and Topics,” now in its 15th year of publication, explores subjects and solutions drawn from over 30 years of experience in person-centered treatment and program development. By entering your information you agree to have your email address added to our database mailing list. You will receive notifications from "Tips & Topics" from David Mee-Lee, M.D. You may opt out of any of these services at any time. Copyright ® 2019 The Change Companies® / All rights reserved.